They seem to go hand in hand, but it's unclear which comes first. 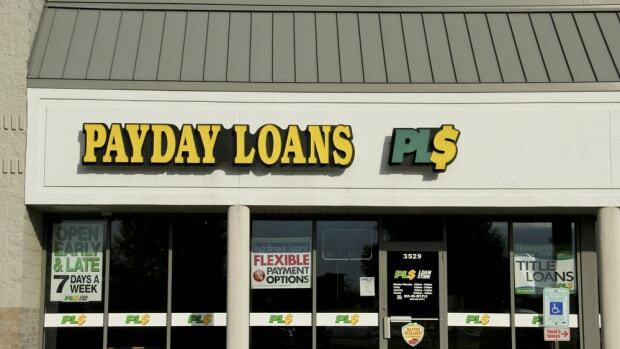 We tend to know where they are, the businesses that offer payday loans. They&apos;re in the poor parts of town amongst the seedy liquor stores and pawnshops and sidewalks littered with greasy paper plates that once served a purpose. 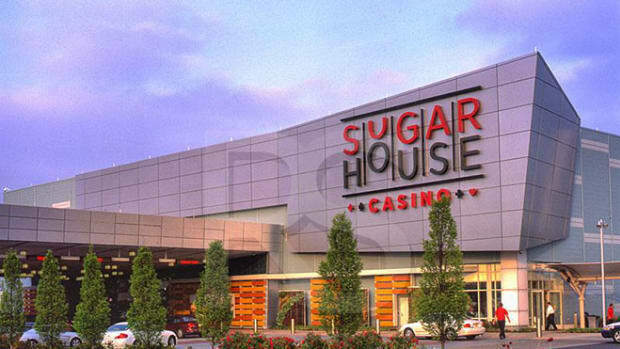 Since residents of wealthy neighborhoods typically don&apos;t depend on $300 cash advances to make it through the month, these companies avoid establishing themselves in such places. Anyone would. 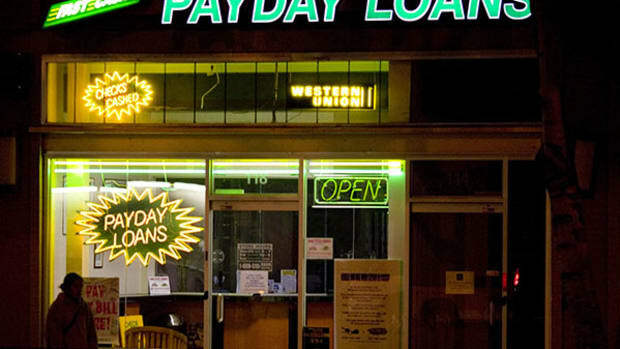 Instead, payday lenders cater to their lower-income customers by setting up shop where they live. 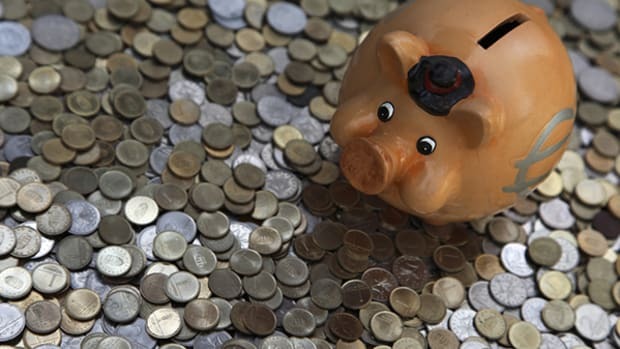 We tend to know this because the payday industry has flourished over the past couple of decades, with businesses sprouting up in destitute sections of major cities across the country. According to a 2012 report by the Pew Charitable Trusts, approximately 20,000 payday storefronts and hundreds of websites provide short-term, high-interest credit to over 12 million Americans each year. Bloombergreports that in 2012 alone the industry lent the public $48.7 billion and earned revenues of $9.3 billion for the service. That&apos;s quite the handsome sum for a profession geared toward aiding the needy. "We found that the areas with the highest levels of violent crime were about seven times more likely to have check-cashing places." However, a new study published in the journal Sociology Mind suggests that payday companies might actually be targeting communities where crime—especially violent crime—is high, and not communities where income is low. Using data obtained from local police reports, a team of researchers at St. Michael&apos;s Hospital in downtown Toronto compared the city&apos;s crime-ridden neighborhoods to the locations of multiple payday lenders and discovered a strong overlap between the two. An overlap that held steady despite the particular area&apos;s socioeconomic standing, whether rich or poor. "We found that the areas with the highest levels of violent crime were about seven times more likely to have check-cashing places," said Joel Ray, a clinician-scientist at St. Michael&apos;s and the study&apos;s lead author. As noted in the study, individuals who commit street-level robbery are often in need of quick cash, so perhaps it makes good business sense for payday lenders to move into areas where this activity often occurs to provide an alternative source of fast money, which has the added benefit of being legal to procure. It&apos;s a simple case of supply and demand. "Just to be clear, I would not remove wealth or poverty from the equation entirely," said Ray, who mentions in the study that these findings are purely meant to add to the body of literature on payday-industry strategy. "I think there&apos;s no question that check-cashing places are generally designed for people in lower-income brackets, and that these places are abundantly found in low-income areas." But could it be the other way around? In a 2011 study titled “Does Fringe Banking Exacerbate Neighborhood Crime Rates? Investigating the Social Ecology of Payday Lending,” researchers from a few American universities set their sights on Seattle. Besides gathering some pretty intriguing facts—example: today&apos;s version of the payday industry went from barely existing in 1990, to growing faster than Starbucks in the mid-&apos;90s, to now involving more outlets than McDonald&apos;s has restaurants in the U.S.—the researchers suggest that while payday lenders in Seattle are also prevalent in communities where crime rates are higher, it&apos;s not as much that the payday businesses seek out these areas as it is that their mere presence brings about increased levels of illegal activity. "I think to a degree they have it wrong," said Ray about the Seattle case study. "It&apos;s like asking, &apos;If you open up more ice cream parlors, are more people going to steal ice cream?&apos; I think they were realizing it backward, but I can&apos;t prove that to you." Still, Ray admits that the chicken-egg thing is complicated. Just type in the words "poverty" and "crime" into any academic database and you&apos;re bound to receive a plethora of clashing articles all attempting to distill the relationship between the two. Most people believe there&apos;s certainly a correlation there, but it&apos;s difficult to discern which is more cause and which is more symptom. 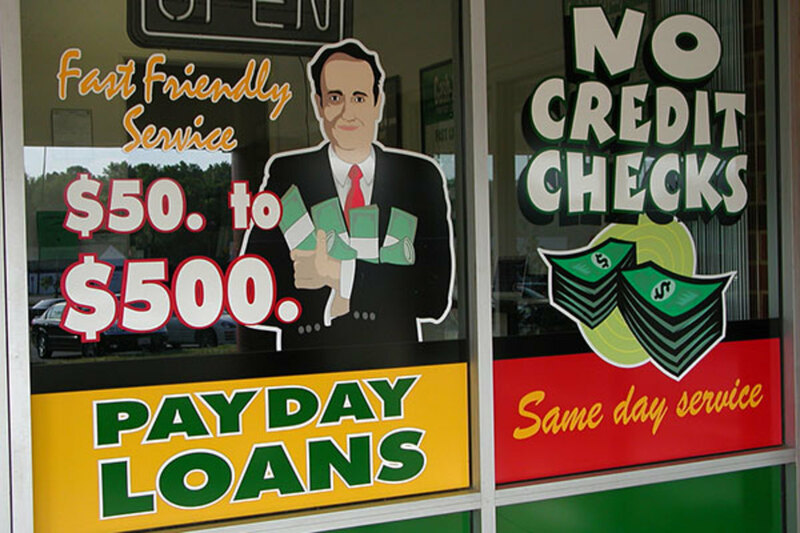 Nevertheless, Ray asserts that payday lenders are savvy businesses dedicated to discovering statistical beacons capable of indicating the whereabouts of potential customers. It&apos;s a strategy employed by any sensible company. So if neighborhoods with high crime produce more profit than neighborhoods with low income, presumably nobody is more devoted to uncovering and exploiting this information than payday lenders. Somewhat surprisingly, neither the Toronto study nor the Seattle study touches on how the Internet is eradicating the importance of storefront location. According to the Wall Street Journal, in 2007 13 percent of all payday lending happened online, while this number more than doubled to 38 percent in 2012. TheNew York Times reports that experts estimate that it will spike to around 60 percent by 2016, shunting the physical act of visiting a brick-and-mortar store to collect a loan into the minority. While different states have different laws either regulating or prohibiting what many would call predatory lending practices, the industry&apos;s trade group, the Community Financial Services Association of America, maintains that their goal is to help people overcome unexpected expenses with short-term credit—a service they claim the traditional banks are unable to provide. It&apos;s an altruistic-sounding endeavor. However, if Ray and his colleagues have exposed an industry trend of strategically targeting neighborhoods plagued by violence and crime, things suddenly seem a whole lot less noble. In state after state that has tried to ban payday and similar loans, the industry has found ways to continue to peddle them. Will the Fed Ever Be Able to Stop Payday and Other High-Cost Lenders? New rules put forward by the Consumer Financial Protection Bureau would have a major impact on the high-cost loan industry. But if history is any guide, lenders will quickly find some loopholes. 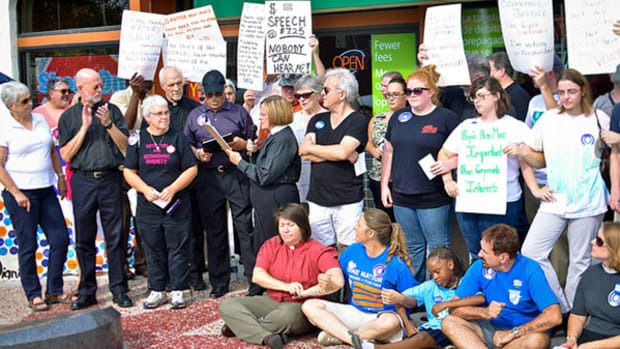 Last year, activists in Missouri tried to limit what high-cost lenders can charge. The ensuing fight exposed something that rarely comes into view so vividly: the high-cost lending industry’s ferocious efforts to stay legal and stay in business. What lessons can we take from Washington? A new study finds a strong relationship between a nation's unemployment rate and the percentage of its citizens who take their own lives. But surprisingly, the link can be either positive or negative, depending upon the wealth of the individual country.